Have a wonderful gardener in your life? Send them this adorable garden planter filled with gardening treats and tools. 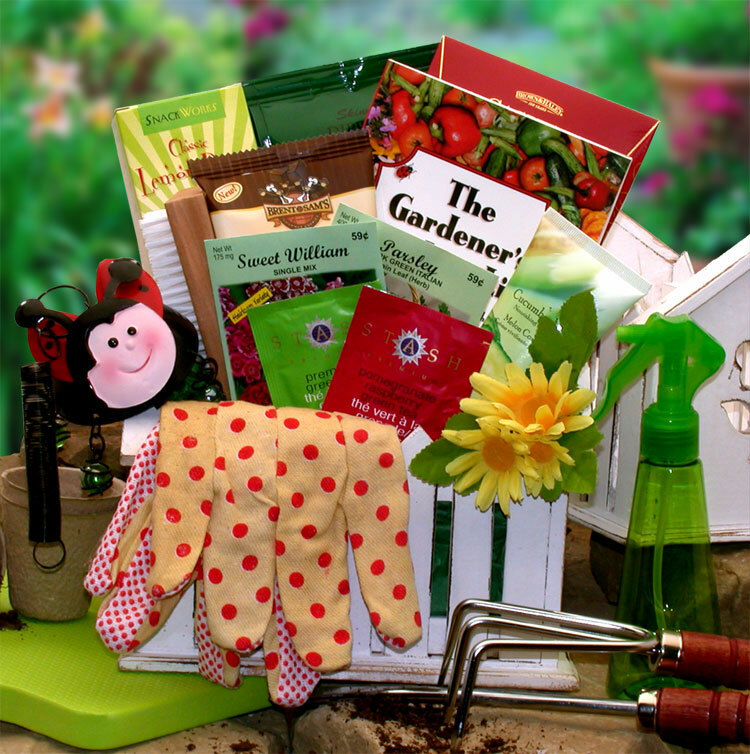 We've included garden seeds, a mini wind chime, a gardening knee pad and more. A unique gift for the gardener in your life that has everything. Every gardener always needs extra seeds, spare tools and what else, nourishing hand cream to sooth those hard working hands when they are done in the garden. A truly thoughtful gift.